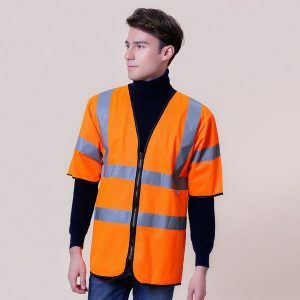 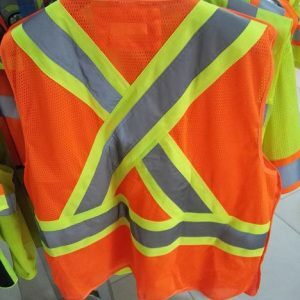 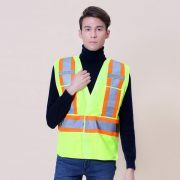 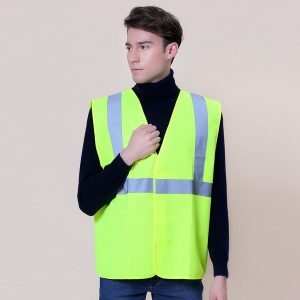 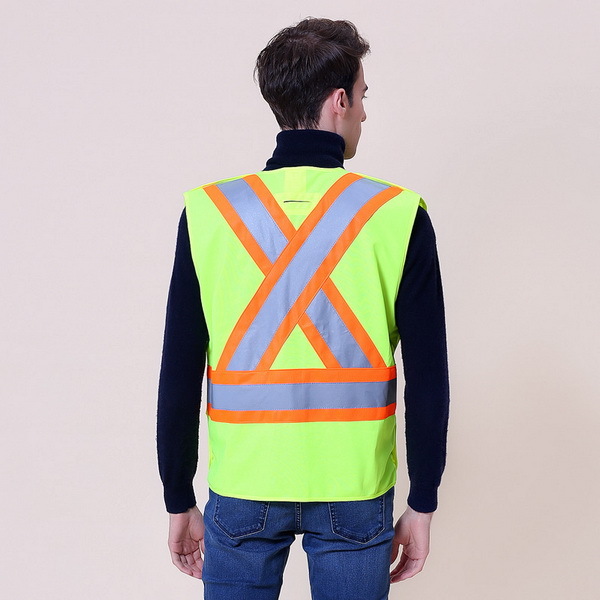 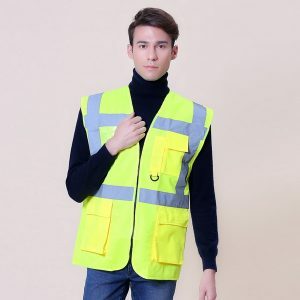 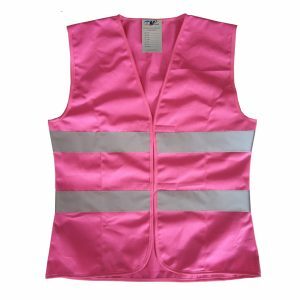 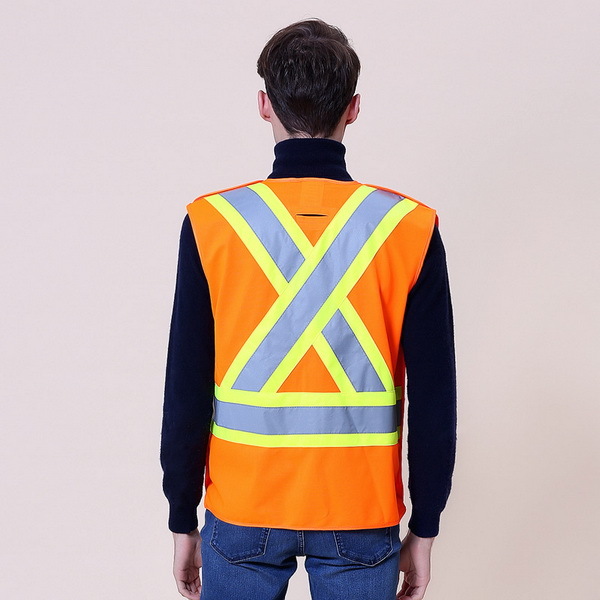 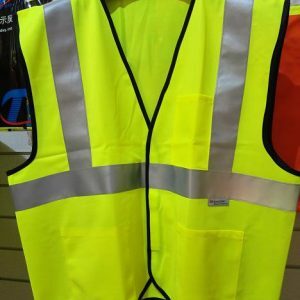 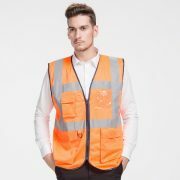 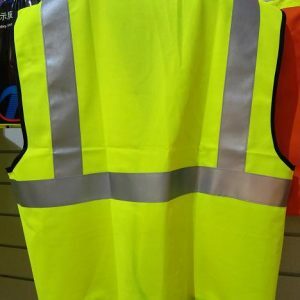 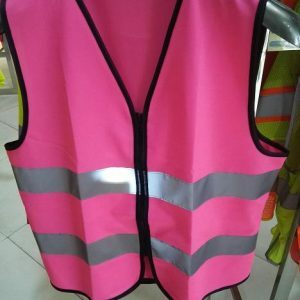 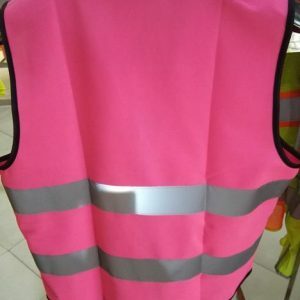 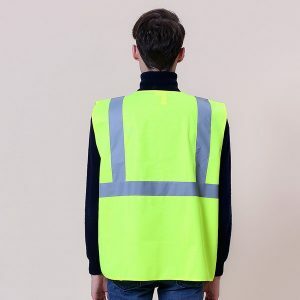 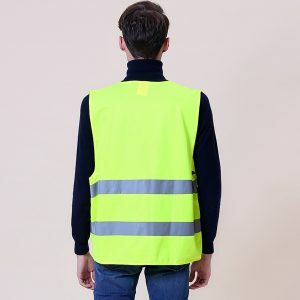 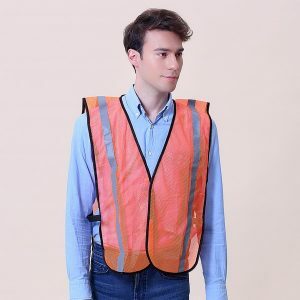 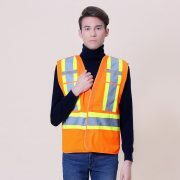 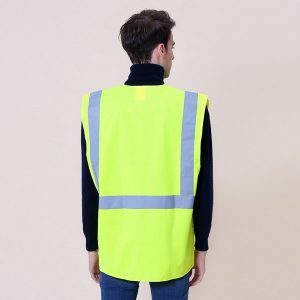 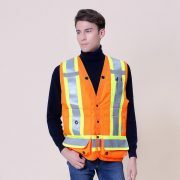 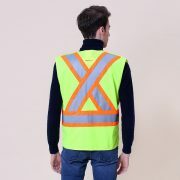 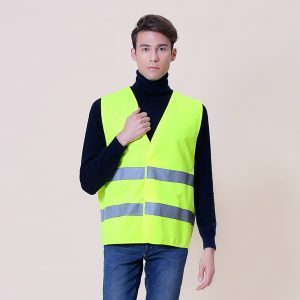 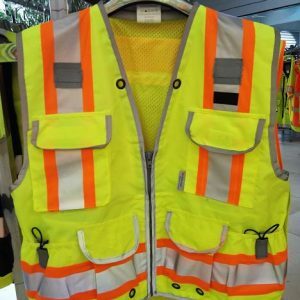 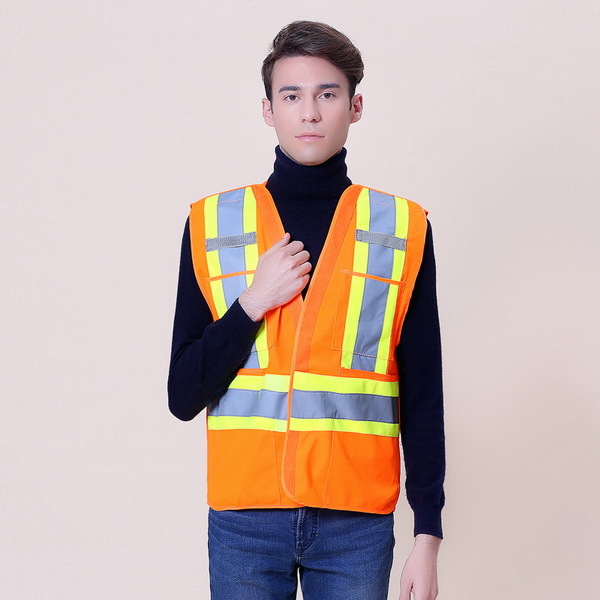 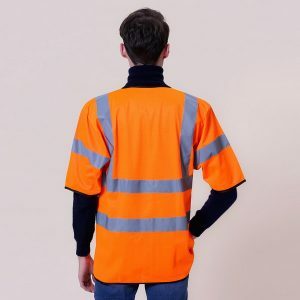 Highlight 100% Polyester safety vest has 5 point tear away. 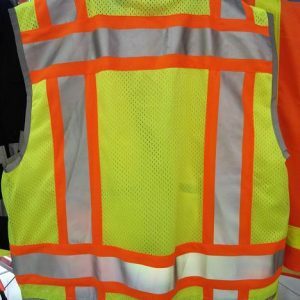 Soft mesh polyester material for breathability. 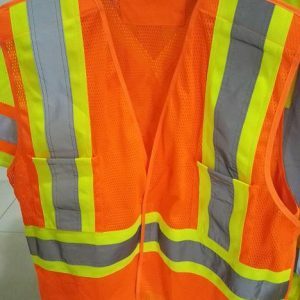 Safety D ring slot access. 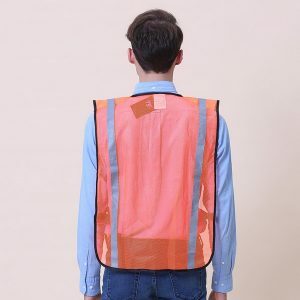 Dual chest straps for ID badge / cell / radio.